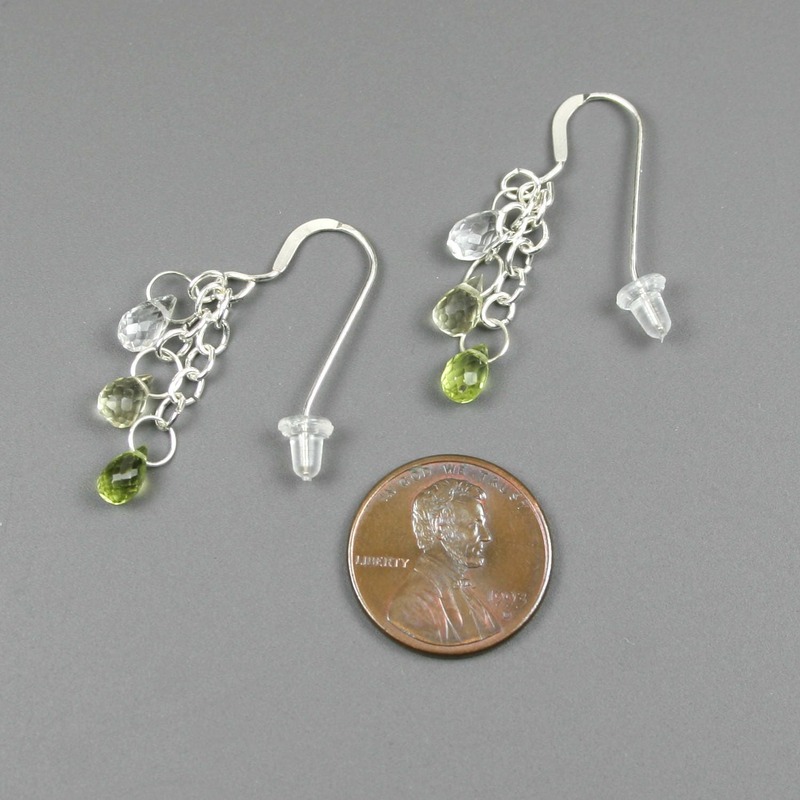 Each earring contains a trio of tiny (6 x 4 mm) stone briolettes hanging in a variegated cascade. 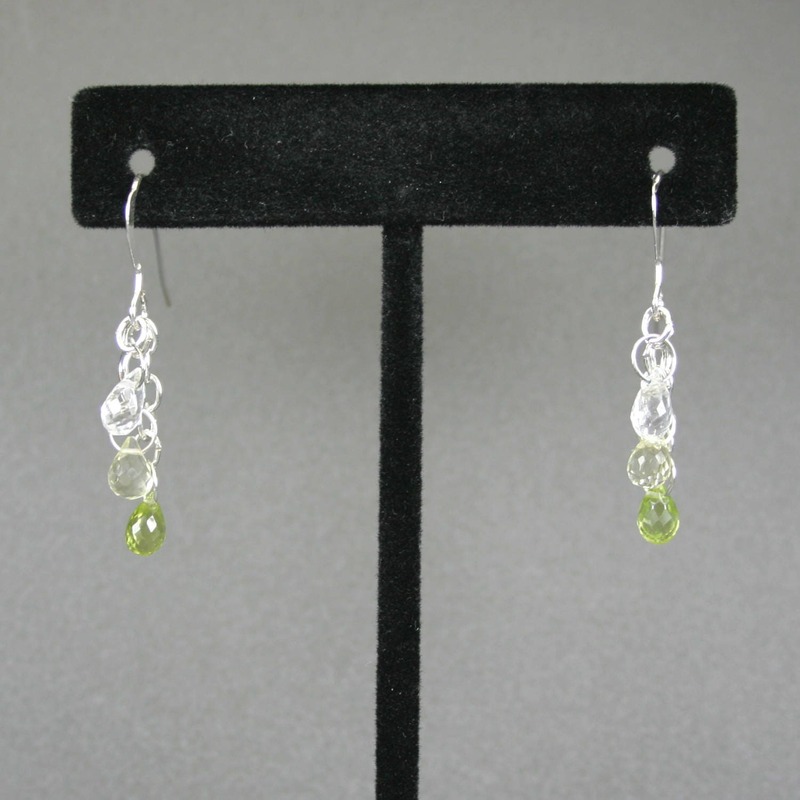 The three stone briolettes are made from crystal quartz (clear), lemon quartz, and peridot hanging in descending order. 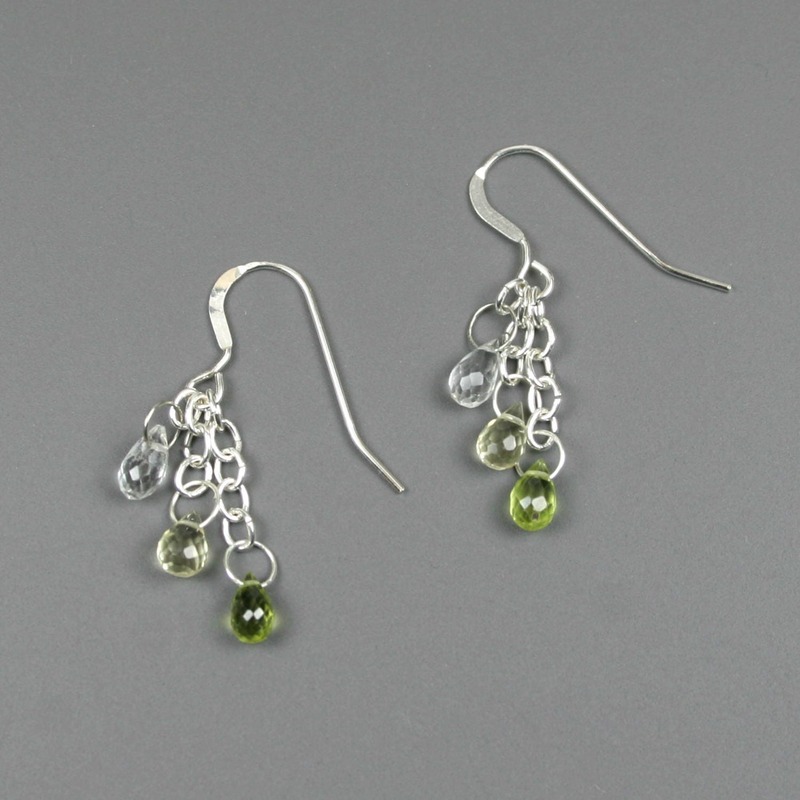 Each briolette is attached using sterling silver wire and sterling silver jump rings. 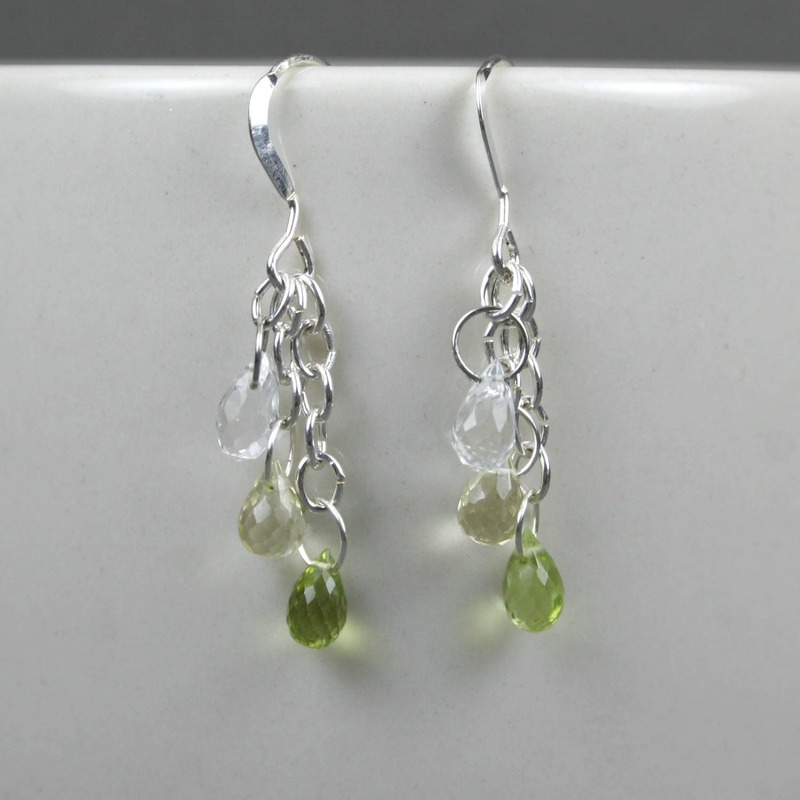 All pieces are connected to a sterling silver filled ear wire. The bottom of the earrings dangle approximately 36mm from the top of the ear wire with an elegantly slim profile. Each earring also comes with an optional clear rubber backing (as shown in the fourth image) to prevent accidental loss while wearing. 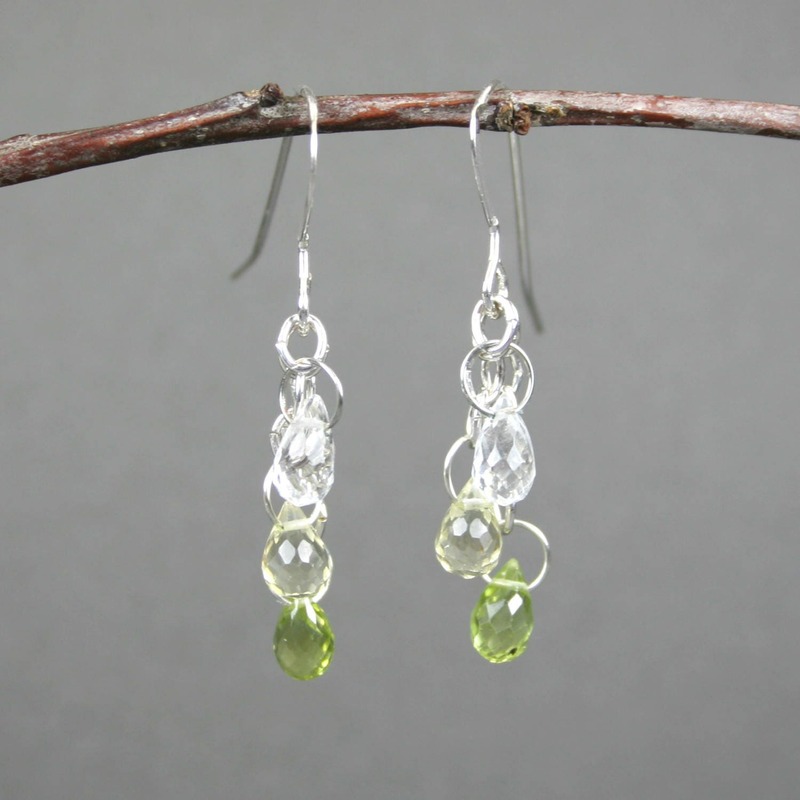 Peridot is a green, translucent stone. It is known for supporting healing, protection, and comfort. It is also one of the birthstones associated with the month of August (along with spinel).